Caption slip reads: "Photographer: Paegel. Date: 1957-07-02. Reporter: Massard. Assignment: Van Gogh exhibit Barnsdal Park. 9/10: John J. Pike, Pres of Municipal Art Patrons. 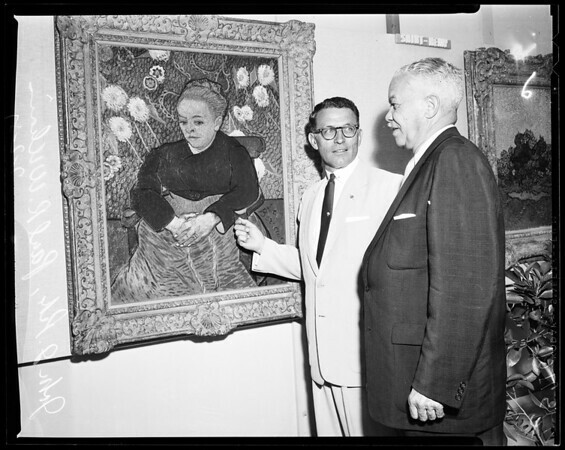 Paul R. Williams, Pres Municipal Art Commission look at Portrait of La Berceuse."